A tradition since 1984, the Woodside School Foundation hosts its Grand Auction to raise funds for the Woodside School. The Grand Auction is one of the Foundation's two annual fundraising events, which together provide approximately 20% of the school's operating budget. This fun gala takes place each spring and includes an online auction prior to the event, and silent and live auctions during the event. Woodside School parents, friends, and community members have many ways to contribute to the Grand Auction. Donate a unique or homemade item or service. Create a one-of-a-kind experience or opportunity. Underwrite a portion of the event, or become a Community Partner. 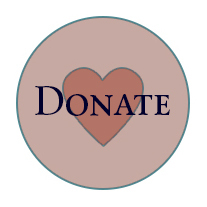 Woodside School Foundation is a nonprofit 501(c)3 organization and donations are tax deductible. For questions about donations, please email us!